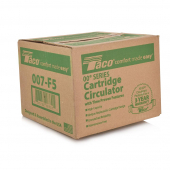 Enter coupon code 007TAKE5 at checkout for $5 OFF Taco 007-F5. 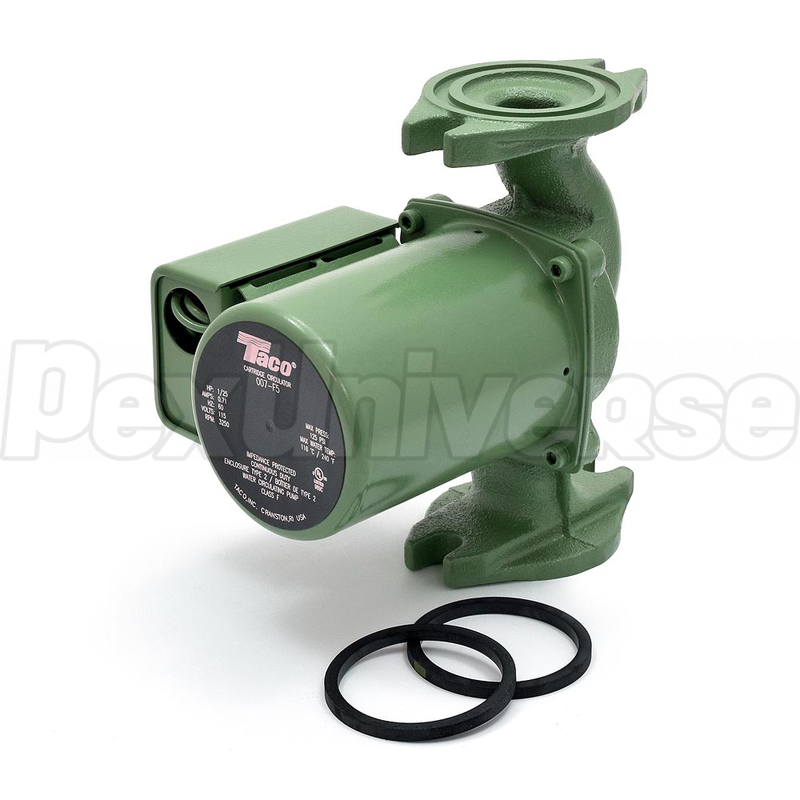 Cast Iron Taco 007-F5 Circulator Pump is the most popular hydronic circulator sold today. 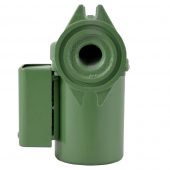 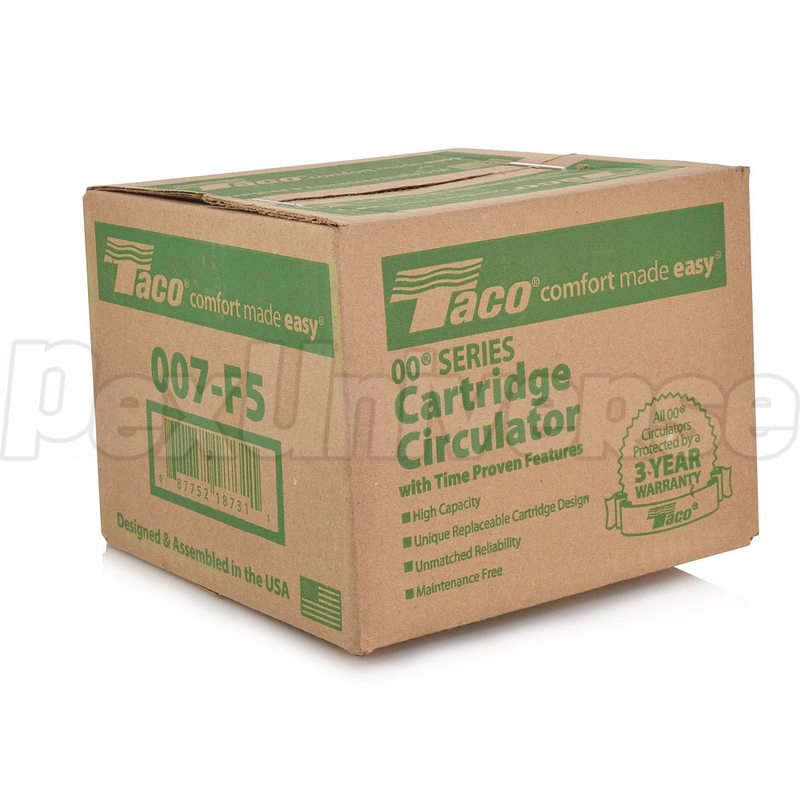 Features a field serviceable cartridge design and provides a quiet, efficient operation and unmatched reliability. 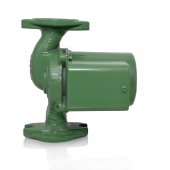 It has a self-lubricating, maintenance-free design and it's flow parameters make it an ideal circulator for a wide range of hydronic applications. 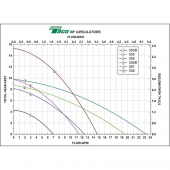 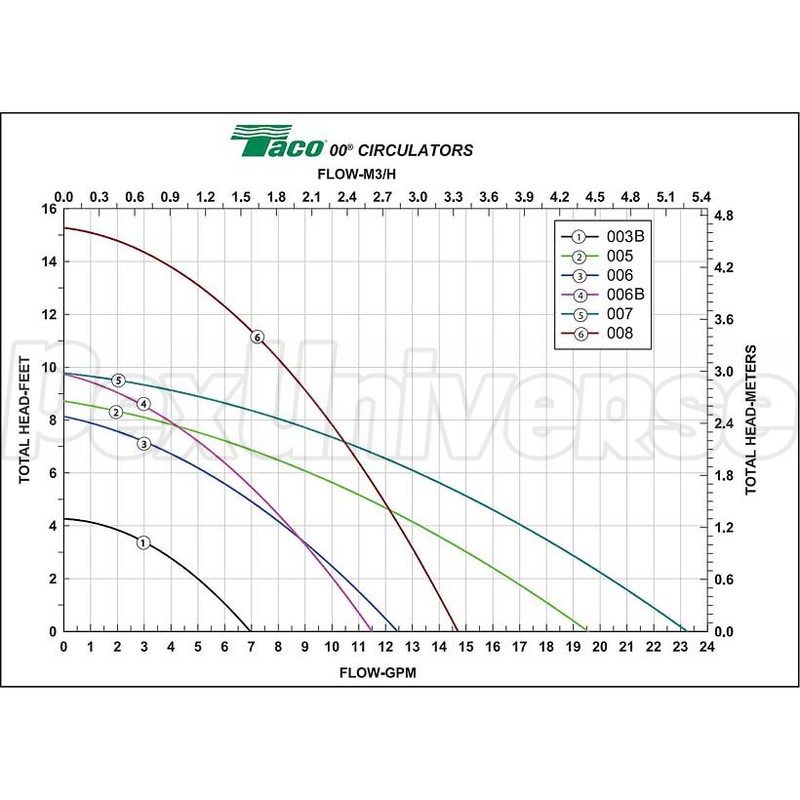 Taco 007-F5 Circulator Pump is a cartridge style, maintenance free, wet-rotor, in-line, single stage circulator pump. 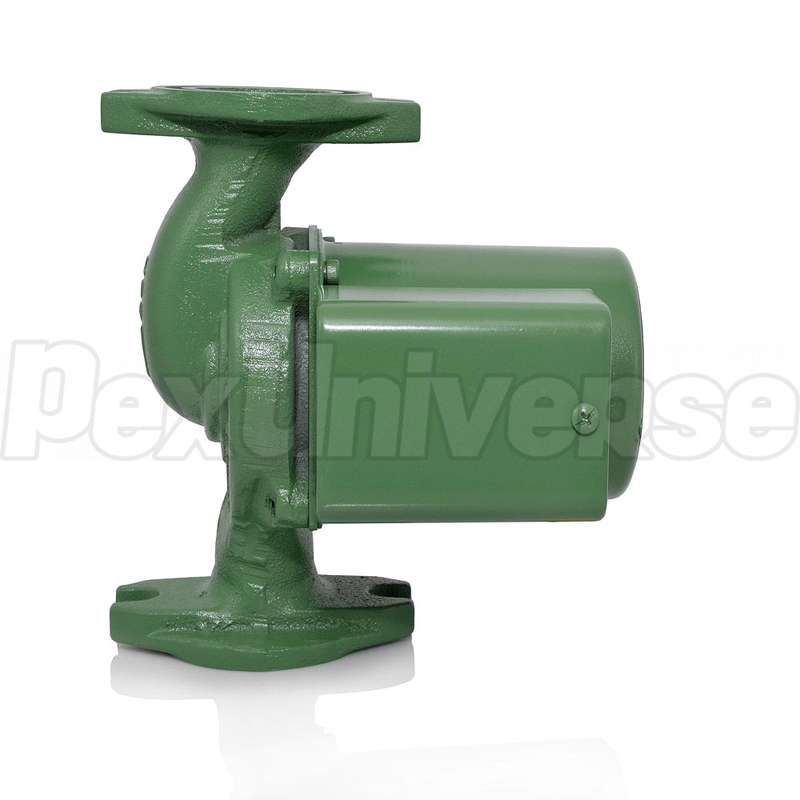 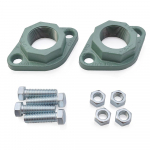 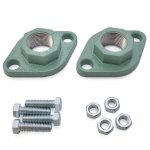 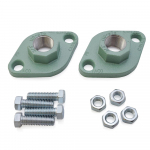 It is designed for quiet operation in Hydronic heating, Radiant heating and Hydro-Air fan coils.